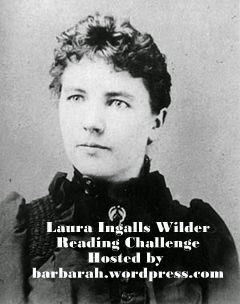 For several years now, I've participated in the Laura Ingalls Wilder Reading Challenge hosted by Barbara at Stray Thoughts. It takes place every February, the month of Laura's birth. Participants can read any book by or about Laura Ingalls Wilder. Pioneer crafts, food, and activities are all appropriate for the challenge, too. February 1st is the official start of the challenge. That day you can sign up at Stray Thoughts stating your reading intentions. Will you join? 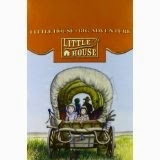 I'm reading Little House on the Prairie for the challenge and will also continue reading Pioneer Girl (linked to my review). It's like an encyclopedia. I won't be reading it in one sitting.) I'd also like to read Farmer Boy, but I'm not so sure that will happen. 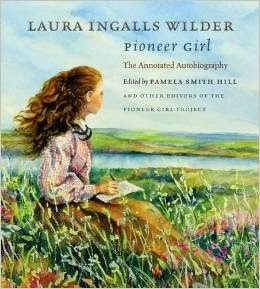 You may be interested in a Laura Ingalls Wilder resource instead of one of her books. I hope one of my reviews will help you choose a book for yourself or a child.